Sophie Bostock, PhD, is a Sleep Evangelist at Big Health, the company behind digital sleep improvement programme, Sleepio. Big Health is a digital medicine company with a mission: to help millions of people back to good mental health. Sophie has been awarded an NHS Innovation Accelerator Fellowship to help promote the uptake of digital medicine in the NHS. 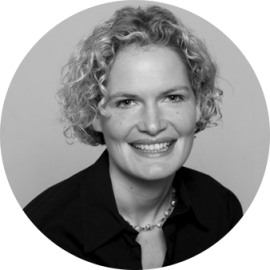 Sophie's research interests include the links between sleep, well-being, health and performance. She has a PhD in Health Psychology from UCL and collaborates with colleagues at the Sleep and Circadian Neuroscience Institute at the University of Oxford. Sophie has featured as a sleep expert for the BBC, The Times, ITV, and TEDxNHS.